Boundary: Seton Hall University & Mt. Vernon Place. 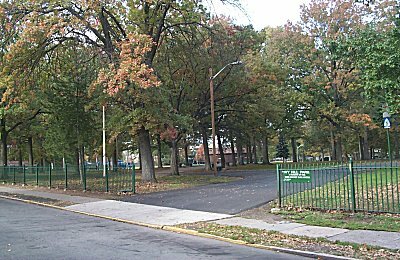 The park had tennis courts, a clubhouse (used by the county recreation program), a playing field, children's playground, shuffleboard surface and held concerts once a week in the summer. Not to mention the ubiquitous 'Good Humor' cart and hotdog cart just outside the gates. It was a great place to play and socialize.